Vintage Norton Motorcycles: Norton or Harley...? When is a Norton not a Norton? When it's a Harley! 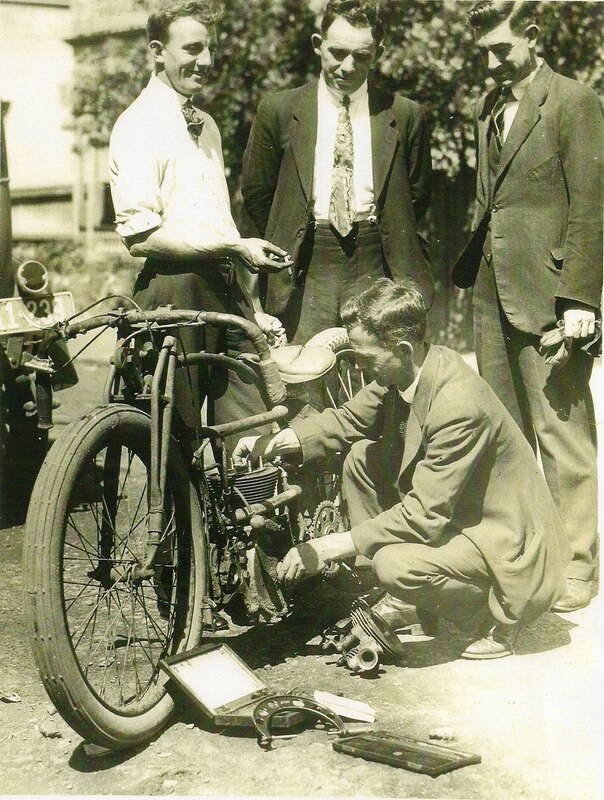 This photo from Peter Roydhouse shows a late twenties scene in New Zealand where a certain amount of measuring seems to be going on. The cycle parts into which the Norton engine has been fitted are Harley Peashooter. No one has yet been able to identify any of the individuals concerned, nor, precisely when/where so come on, Kiwis, put your thinking caps on - someone must know!